I’ve been very busy lately: promoting good health, editing a raw food cook book, writing articles and managing my two musicians. In the midst of it all, I decided to take a little break and go to the Turtle Back Zoo for an hour or so, which is just 20 minutes from my home. Being around animals makes me so happy! 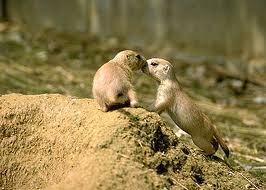 One thing I learned today that I never knew before — wow, how playful and affectionate Prairie Dogs are! Perhaps in the past, when I saw them, it was too hot because prior to today all I ever saw them do was stand up and beg — which is very adorable. But today, oh boy, what a treat! First of all, there were a lot of smaller ones in the mix. I never saw babies before and they were super energetic: jumping and wrestling with each other. AND DANCING AND KISSING?! Whoa! How cute and animated! 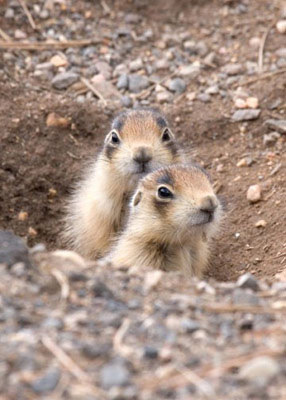 If you search for “Prarie Dogs” on You Tube you can see a ton of videos of all this cuteness. There is even some where people keep them as house pets and they get along super with CATS! 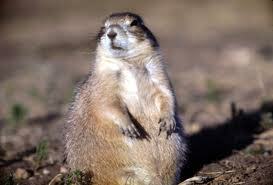 Prairie Dogs aren’t really dogs, they are burrowing rodents. They were named “dogs” because they bark. I haven’t heard them bark yet. I could hear them bark on You Tube, but I want to wait it out and have that first-time experience next time I go to the zoo. They remind me of a cross between a groundhog, a ferret and a guinea pig. They are just too darn cute. They are truly gentle creatures. Today I saw them standing up, in begging position, eating grass. A little bird came by and took the grass out of the Prairie Dog’s paws — two or three times — and the Prairie Dog didn’t even flinch or get upset. But according to Wikipedia, they do fight with competitors and have a “rut” period that lasts several months where their personalities change and they could get aggressive. Regardless, they are social animals and think of humans as part of their colony. They will even come when their name is called! I look forward to seeing these fascinating little critters again sometime … soon! What got me drawing was baby sitting a little girl named Claire in 2004. The summer of 2005 I had a lot of free time on my hands, working just one 35-hour job at a local newspaper, so I tried my hand at art and went public with it. But my personal favorite was a drawing of Adam and Eve in the Garden of Eden, with the word “TEMPTATION” in the background, alongside the McDonald’s arch. Eventually I put my art aside for other things in life, but who knows … someday I will pick up my colored pencils and markers again and do more. I was also considering selling on Esty … but we shall see! 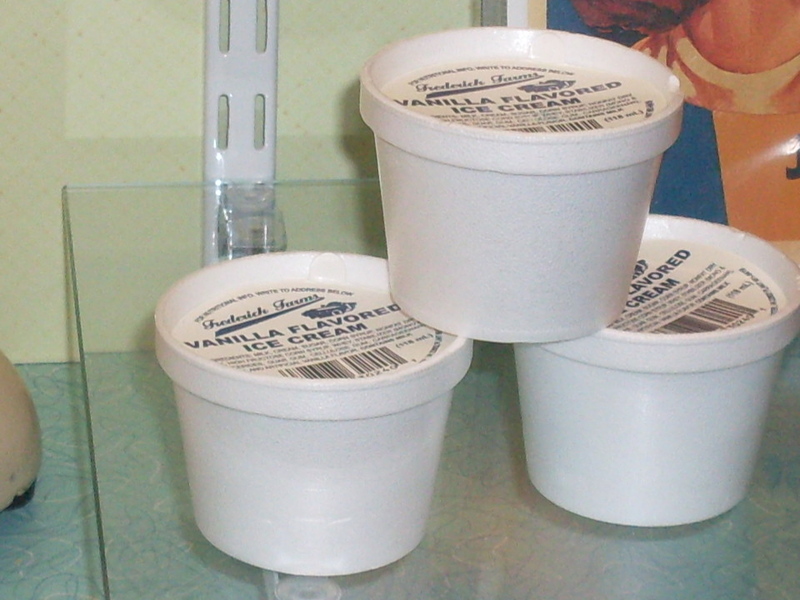 Some of the older people reading may remember these ice cream treats from the 1960s/1970s. I don’t think I remember a treat being that small since … well, since I was that small. And this is where the problems with poor health and obesity lie in this day and age. Not that people are eating treats. Treats are not bad in moderation. It’s the fact that treats are so big. Everything is super-sized. And of course since they are treats, you are tempted to finish the entire product no matter how big it is because it’s so mouth-watering delicious. I am guilty myself! When I succumb to treats, I try to go for the cleanest food possible, something with no artificial ingredients and preservatives, like natural popcorn, all natural ice cream, or vegan cake (because I know it’s not made with animal lard). I haven’t had a Tofutti Cutie in years and told my husband to bring home a box last week. What I failed to remember was that these treats had some not so healthy ingredients such as corn solids. But the thing is, eating just one was only 9 grams of sugar, which equals to two teaspoons of sugar. So stopping at one treat isn’t such a bad thing, and may in fact be better than eating four servings of something all natural because the body doesn’t know the difference between agave nectar and corn syrup. Sugar is sugar — period! Having a box of Tofutti Cuties in the house, I said that the best thing to do would be to have good old fashioned will power and make the box last awhile. Which my husband and I did. So, go us! I’ve noticed a big difference in how I feel if I have a small portioned dessert versus a huge dessert, whether it’s a perfectly clean dessert or something that contains corn solids. I do feel so much better with less — no matter what the content is. When dining out, I now split desserts instead of getting a whole one. Back in 2010, I interviewed health advocate/model, Oleda Baker for a health column I used to write. If you Google her name, you will be surprised at how healthy this woman in her late 70s looks — so healthy that she could easily pass for 45 or 50! Oleda also admitted to eating foods that weren’t all natural and that she eats pizza and desserts. The point is, not to put too much stress on the stomach in one sitting. I’ve noticed that a small taste of dessert after a meal is more satisfying than stuffing my face with a big dessert, even if it is all natural and vegan. So, when it comes to desserts, you can literally have your cake and eat it too by going for a much smaller portion. Just eat like it’s 1969! Best part of my job, interviewing children! Aren’t they adorable?! Writing is a wonderful career because business is FUN! 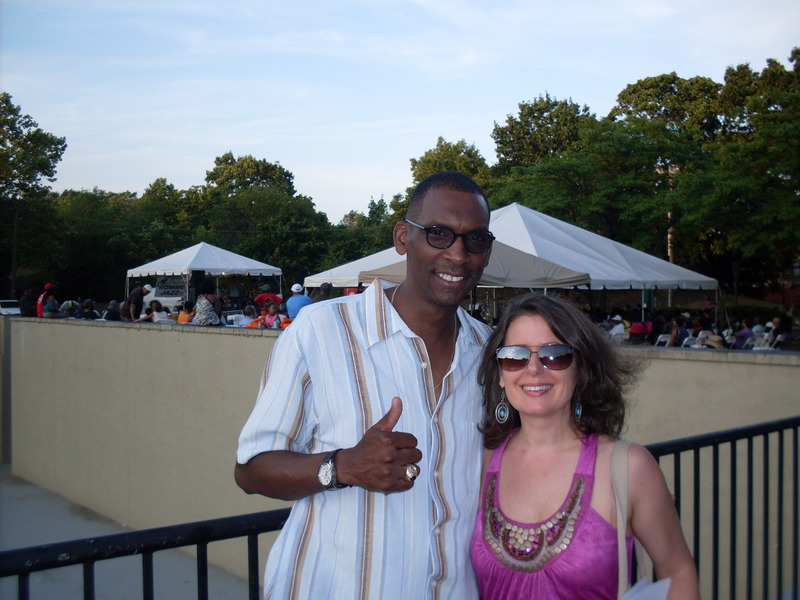 I had so much fun covering the Great Falls Jazz Festival last night. 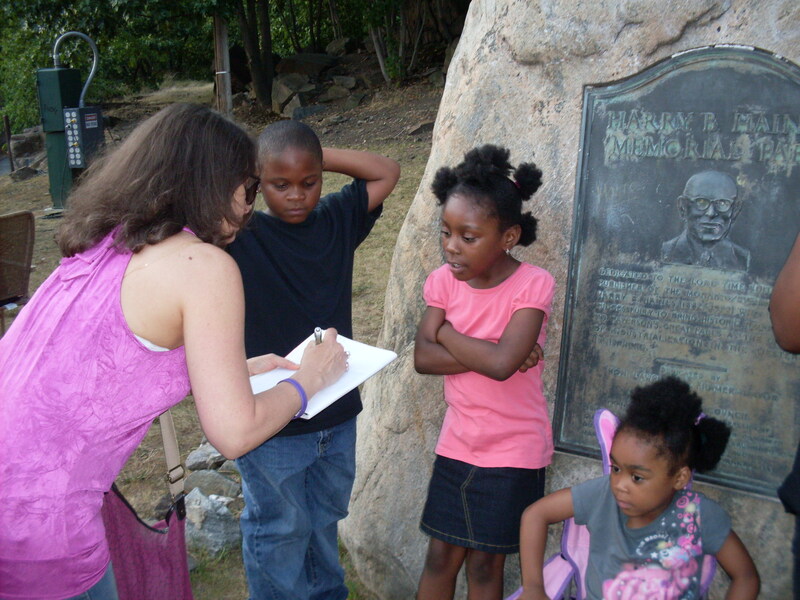 The article will be published in the Paterson Press online in the very near future. I love getting in with the community and being part of it. I love chatting with people and seeing them out and about, truly enjoying themselves. Two fantastic bands played, About Funk and One Accord. And during intermission, a bunch of Michael Jackson tunes were played, including old Jackson 5 hits and many people were dancing — including the mayor! Paterson is the town I was born in, so it will always be dear to my heart. It’s wonderful to be a part of awesome festivities where the focus is on family and enjoyment — not crime! The festival was still in full swing well after dusk when my husband and I decided to have a bite at Libby’s, a diner that’s been around since 1936! They serve all kinds of burgers for meat eaters, and for vegetarians they have amazing grape leaves! They also serve beer and wine. We had the best waitress too! Libby’s — another hidden jewel in New Jersey. 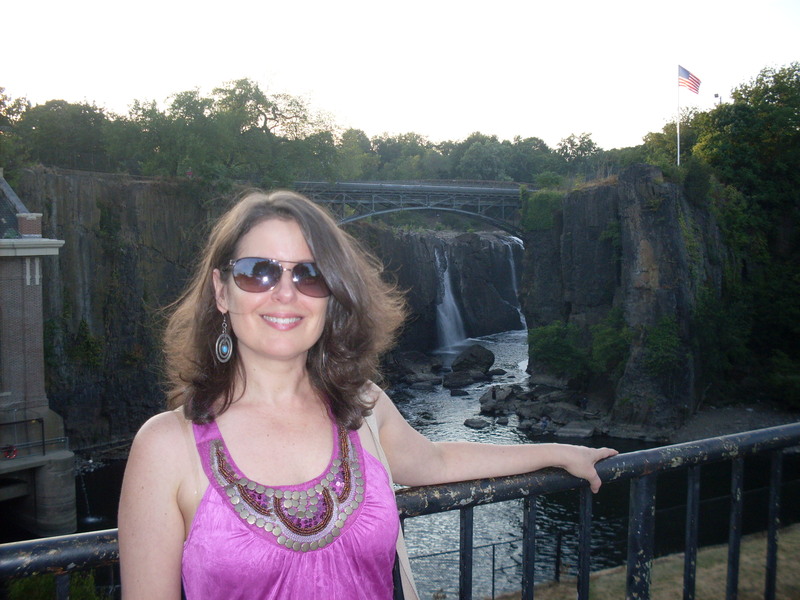 The Great Falls Jazz Fest will continue until August 4, so if you like music — free music! — come out and enjoy! Since it’s summer and there will be a ton of outdoor parties and barbecues, I’ve decided to compile a list and guide of the top three easy to find and reasonably priced veggie burgers, as well as the “to avoid” burgers and the reasons. Vegans and vegetarians can email this article to friends and family this summer so they know what to prepare for you on the grill! 1. De Canto’s BestBurger. 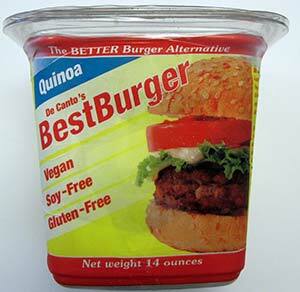 I just tried this burger and it’s not only 100 percent natural, it’s pretty close to raw. There are limited ingredients in each one. The original has: sunflower seeds, organic brown rice, celery, carrots, squash, onion, red cabbage and seasoning. It’s soy-free, gluten-free, dairy-free, yeast-free, corn-free, wheat-free, oil-free with nothing artificial and low in sodium (only 140 mg!) And it is DELICIOUS, although a little heavy on the stomach — perhaps from the cabbage. I’m excited that they have a quinoa flavored burger, which I’m dying to try, as quinoa is a complete protein and so very good for you! 2. Dr. Praeger’s California Burger. This was voted the best burger to lose weight by Dr. Oz. And I have to say, even though De Canto’s is a bit healthier, Dr. Praeger’s is my FAVORITE, as it just melts in your mouth. It’s all natural and has all the ingredients you could find in your own cupboard: carrots, onions, string beans, oat bran, soybeans, zucchini, peas, broccoli, corn, soy flakes, spinach, expeller pressed canola oil, red peppers, arrowroot, corn starch, garlic, corn meal, salt, parsley, black pepper. 3. Amy’s. God bless Amy’s, I’ve been using her products for YEARS! The veggie burgers are YUMMY, but they have a bit more sodium than the previous two and they also use a little bit organic cane sugar. However, on the plus side, all ingredients are organic. Note that they do contain soy and corn. 1. Boca. I never liked these burgers. To me, they are the worst tasting veggie burgers on the market, plus they are loaded with artificial ingredients, cheese and milk. 2. Garden Burger. They taste good, but I haven’t had them in years because they put artificial ingredients in them. They do use dairy in some of their products, but it is kosher. The Veggie Medley and Black Bean are vegan. 3. Morning Star Garden. I don’t think I’ve ever tried these mainly because of all the artificial ingredients. If you can’t pronounce something, it doesn’t belong in your body. I mean, really, what the hell is this stuff? : DISODIUM INOSINATE, DISODIUM GUANYLATE, KONJAC FLOUR … SCARY! DISCLAIMER TO ALL – While this list is meant to be a healthy guide, do not take your eating so seriously that you do not enjoy life! Nothing is more of a buzz kill than a militant Hitler-esque vegan or health freak that turns his/her nose up to something that isn’t up to his/her high standards. If someone loves you and invites you over, but picks out the wrong veggie burgers, do yourself a favor and just ENJOY the damn thing! Stress and a bad attitude will have a worse effect on your health than a pinch of DISODIUM INOSINATE will! A Sauce To Die For! The following is an article I wrote, published in The Montclair Times, January 11, 2006, after I interviewed Sopranos actor, Joseph R. Gannascoli, who had created an all natural Italian pasta sauce. Quite a few people got a kick out of the fact that Gannascoli admitted to me — a reporter — that he was a food fence! So, here is the full article, one of my favorites that I ever wrote — ENJOY! Most chefs say their sauce is to die for, but when the chef is a gangster, he might mean it a little more literally. Or maybe not. After all, this chef only plays a gangster on TV. Joseph Gannascoli, who plays Vito Spatafore on “The Sopranos,” the noted series on HBO cable television, has crafted natural, additive-free sauces to be introduced in his new book “A Meal to Die For.” Both the book and the sauces made their debut on Tuesday, Jan. 10. While the sauces start out with pretty basic ingredients, Gannascoli suggests doctoring them up. For instance, olives and capers can be added to the “Sunday Sauce” and put over fish. “If I wanted to cook mussels, I can add white wine to the ‘Sunday Sauce,'” he said. Gannascoli also suggests putting the “Wild Mushroom” sauce on pizza. Before Gannascoli got into acting, he was a chef for 20 years. “People always loved my sauce,” he said. 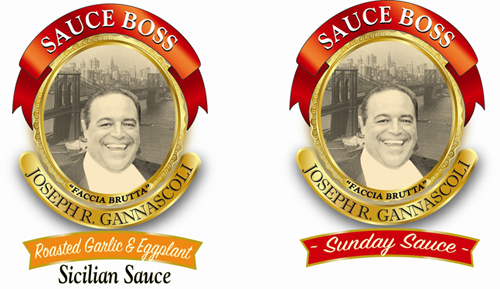 Leaving law school, Brooklyn-born Gannascoli decided to open up a restaurant in Manhattan. During the 1980s and 1990s Gannascoli fulfilled his childhood dreams by opening up a few restaurants while dabbling in acting. But he said he always got bored and started gambling. After losing $60,000, Gannascoli paid off his debts and decided to pursue acting in Los Angeles. He made a few movies but couldn’t take being away from home. “I went home, opened up a few more restaurants, didn’t gamble as much,” Gannascoli said. It’s possible that Gannascoli’s fictitious character in the show about organized crime in New Jersey lives in Montclair. “I think my home is in Montclair, or close to it,” he said. Gannascoli lives in Long Island and is not too familiar with the area. However, the character in Gannascoli’s book, “A Meal to Die For” is so similar to Gannascoli he says it’s almost autobiographical. The lead character, Benny Lacoco, is a “food fence” who wants to become a great chef. Lacoco moves hot items such as olive oil and expensive wine. But even as a food fence, Gannascoli stayed true to his exquisite culinary tastes — if the quality wasn’t there, he said he wouldn’t sell it. Laundry is a chore I don’t mind because each part of the process is fun. First of all, lifting the basket, carrying it and hanging clothes is a great upper body and back work-out. Hanging up the clothes, sorting them and putting them away, while listening to music is very uplifting and can be a creative experience for those of us who color coordinate and season coordinate our pieces. That cute new t-shirt I’m taking out of the dryer — My husband surprised me with that t-shirt the other night. Each time I wear it, I’ll be reminded how thoughtful he is. That bohemian summer dress I’m folding — I wore a few nights ago at a concert with my friend Bridget. And wow, all the luck it gave me by wearing it while working on 7/11, scoring several promotional events! And now popping in the drawer the summer nightie I wore to bed last night and dreamed that beautiful Fawn (my mom’s late Chihuahua) came to life again. What a blessing to have a beloved pet come back to you in a dream. Oh, and that great green skirt Diane gave me in the 1990s and still gets compliments — I always laugh when I’m hanging it up, thinking of what a hoot Diane is, how she makes me laugh and all the fun we’ve ever had. If you’re reading, I love ya, Di! Ahhh, the laundry journals … clothes are such a great read!